Save the Dates announce your wedding date and location to your guests. They can range from simple post cards to elaborate mailings. They should be sent 6-8 months before your wedding (maybe sooner if it’s a destination). 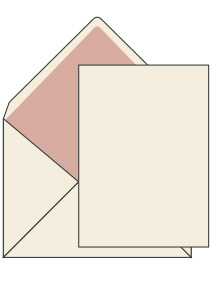 Invitations tell the story – who, what, when, where – and come in a variety of shapes, sizes, and printing methods. 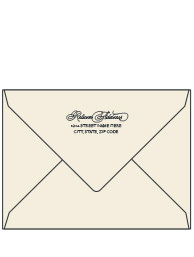 They should be mailed 6-8 weeks prior to the wedding (again, maybe longer if it’s a destination). 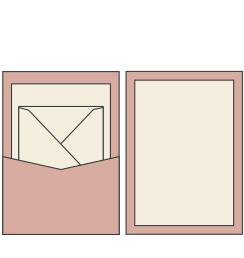 Envelopes protect all the items in your suite. 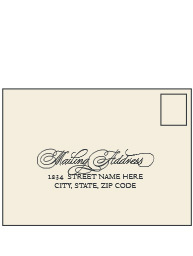 For an extra touch of elegance, add an inner envelope, a liner, a printed return address and/or a printed mailing address. 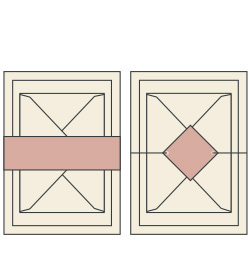 Remember that square envelopes require extra postage. 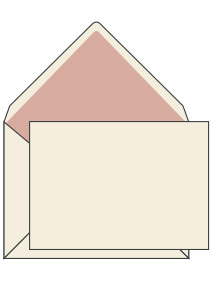 Return Addresses are printed on the back flap of your outermost envelope. They typically match the style of your invitations to create a cohesive, branded look. 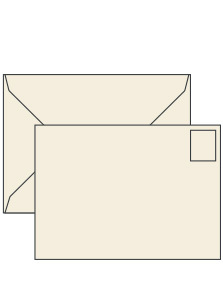 Mailing Addresses are printed on the front of your outermost envelope. They typically match the style of your invitations to create a cohesive, branded look. The addresses are extracted from an excel sheet that you provide. 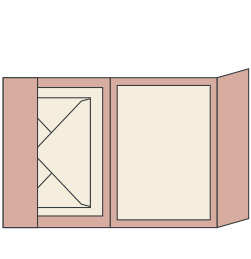 A pocket folder keeps the pieces of your suite organized. It mounts the invitation on one side and tucks all your additional suite items into a pocket on the opposite side. An alternative to a pocket folder, a panel pocket mounts your invitation to the front and tucks all your additional suite items into a slot on the back. 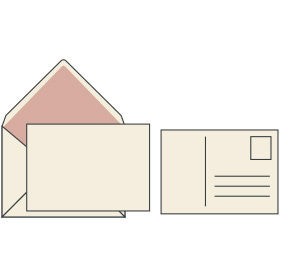 Belly bands, die cut tags, and other custom pieces are designed to hold all your paper pretties in place inside your envelope.